What are the benefits of recycling waste? 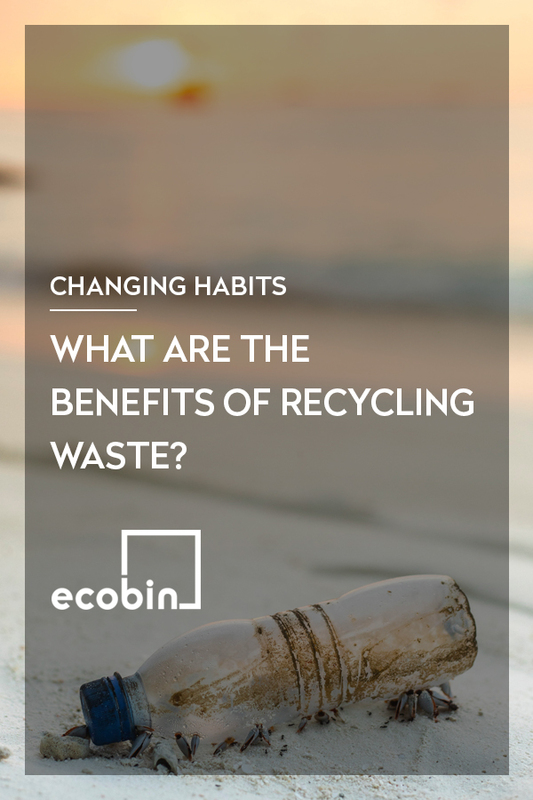 EcoBin > Changing Habits > What are the benefits of recycling waste? Recycling is such an important factor in the sustainability and longevity of our planet – in short if we don’t start taking recycling seriously then we are compromising the future of many generations. The main benefits of recycling waste is that we’re helping to protect our environment, both the immediate environment we’re living in like our homes and towns, and also our wider global environment by reducing the amount of items that go into landfill. Having rubbish sit around in a landfill is serious business as items that are contained within a landfill release toxic gases like methane as they begin to decompose. Methane is 25 times more poisonous than carbon dioxide and is one of the main causes of global warming and climate change. Through taking the small step of recycling various household items like your paper, cardboard, plastics, organic materials, glass, batteries etc you are ensuring they are disposed of in the correct way. It means that the items are able to often be repurposed into new materials, such as recycled paper products and recently we read about recycled plastics being turned into new roads! The possibilities and benefits for our planet are endless, but it all starts with that one small step of thinking twice before you throw something in the bin!